The top is finally pieced. I won't lie. It wasn't enjoyable piecing. This quilt pattern is by no means difficult, complex yes but not difficult but I found the whole experience somehow tedious although the finished top looks fantastic. And here a glimpse of the quilt back. 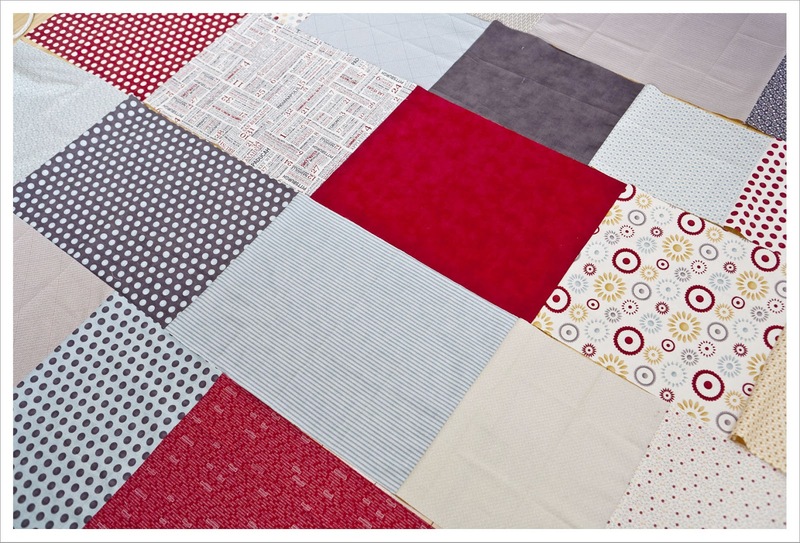 Although I absolutely love the Hometown collection and I would have easily had enough for another quilt I am determined to use it all on this quilt. 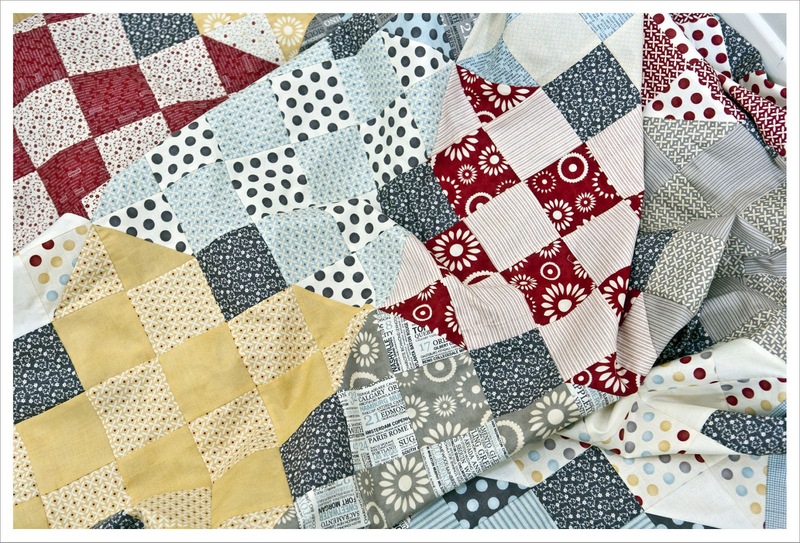 So the quilt back will be pieced from Hometown too. To me two weeks for this quilt top is not slow at all! It looks great so it was definitely worth the effort! Gosh this really is beautiful, you have such a good eye. 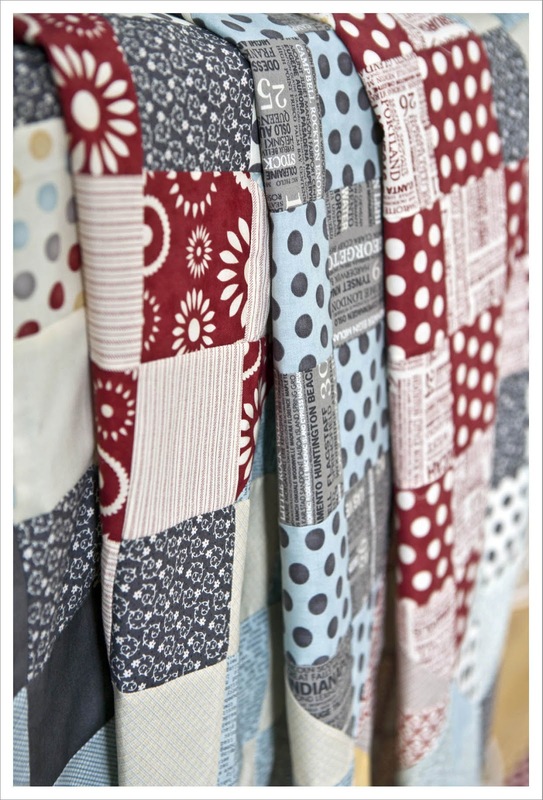 You do have an imaginative eye for colours and fabrics and your quilts always have the wow factor.